May, the month of Mary, is considered by many the very nicest month of the year. 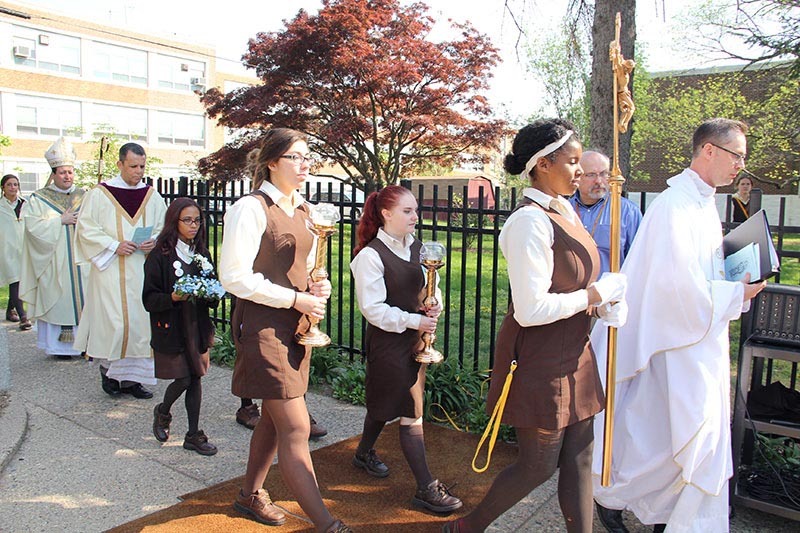 It lived up to that reputation on May 4, when St. Hubert High School in Northeast Philadelphia was dedicated to the Blessed Virgin Mary through a special Mass celebrated by Auxiliary Bishop John McIntyre. The ceremony included a short outdoor May procession and the re-consecration of a newly installed outdoor life-sized statue of the Blessed Virgin. Afterwards, Bishop McIntyre, exercising his episcopal prerogative, granted the students a day off on a date at the school’s discretion. Although the statue of Mary is very clearly taken from the image that appears on the Miraculous Medal, in this case it is called Our Lady of the Highways because that was its name in the parish it was received from: All Saints in Bridesburg, which closed in 2013. The title is apt because All Saints was located near busy I-95 and so is St. Hubert’s on Torresdale Avenue where Cottman Avenue feeds into the highway. An odd coincidence is that when All Saints was founded in 1860 it was as a German parish and St. Hubert was a German church before it was converted into a high school for girls. All Saints was also the home parish for Father Ronald Check, who is now the school minister at St. Hubert. He thought about the beloved statue of Our Lady when the parish closed and it was he who arranged for its acquisition by St. Hubert’s. 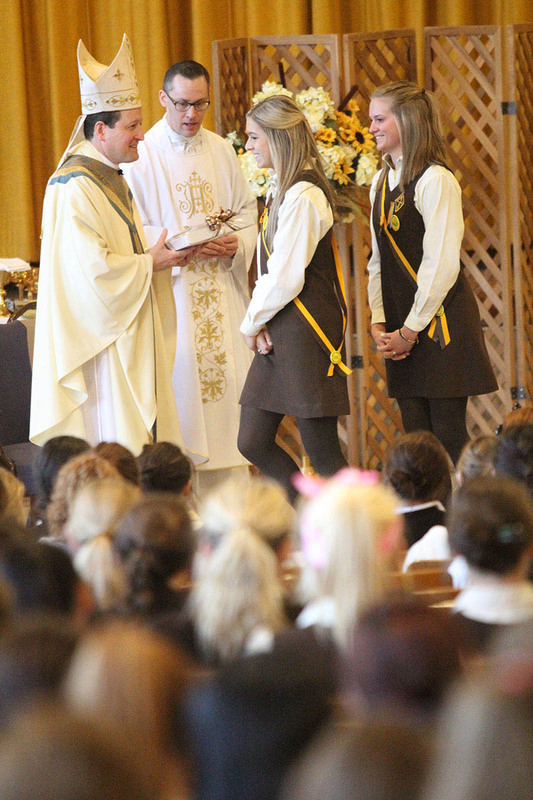 “I know many girls from All Saints went to St. Hubert’s over the years, so I thought it was a fitting tribute,” he said, not only to All Saints but to St. Hubert’s. Now Our Lady is gloriously reigning over Torresdale Avenue. Roseanne Duzinski grew up near All Saints and she remembers as a little girl the feeling she had when she passed the statue that the Blessed Mother was taking care of her. “That statue was in my life every day,” said Duzinski, who paid for much of the cost of the relocation. Catherine McCuna, a current student at St. Hubert, was also from Bridesburg. “I would walk by it a lot and I thought it was really nice,” she said.